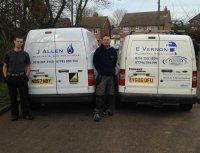 E Vernon Plumbing Solutions are ready to help if you are in need of a plumber in Leicester. Whether you need an emergency plumber or are looking to replace a Tap, radiator, towel rail etc. We offer advice and quotations free of charge so why not give us a call today. Looking for a plumber Leicester & Leicestershire?